Dry July has been a resounding success here in the Devereaux household. None of us – not a single one – has touched a nip of alcohol all month. I did think Master7 was going to fall off the wagon at one point but it turned out he wasn’t reaching for a bottle of red after all, he was reaching for the balsamic vinegar. I’m very proud of us all. “You drinking tomorrow?” one of the girls at work asked me today. “There’s a 40% chance of beer on my cereal,” I joked. I’m pretty sure I was joking. As always, my darling Tracey has been very supportive. “You can have a Sober October next,” she told me while I sat on the lounge with a Bottle-O catalogue planning my first drink. That should end the silly talk and keep my October free for wedding toasts and boat races. The whole thing has actually been a great experience. The time has flown by without incident – unlike when I gave up smoking there were no tantrums or ducking off to the shops/tip/friends/park (anywhere really) for a sneaky puff. The month is done and tomorrow I can have a drink if I want and that’s good. I haven’t fed the world’s impoverished or discovered a cure for hangovers but I’m disproportionately pleased with myself. 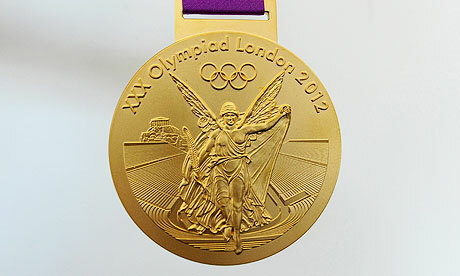 And now the Olympics are on and tomorrow night, to celebrate, the time has come to go for Gold. Fever! In the morning. Fever all through the night.